After Project Icarus which quickly turned into organised chaos, and Joomla X, we finally got the Joomla 4 Alpha 1 version for testing. 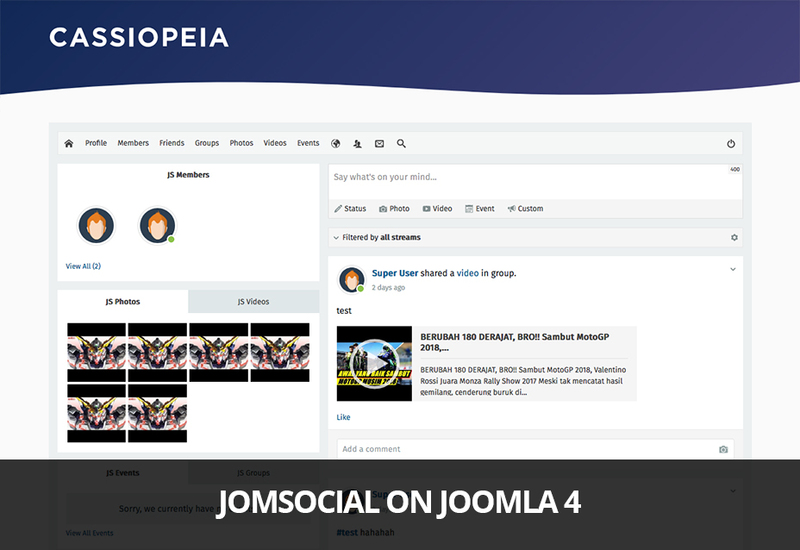 We already wrote in Joomlart blog post what can you expect from the Joomla 4 and if you haven’t read it by now, we strongly encourage you to do so. 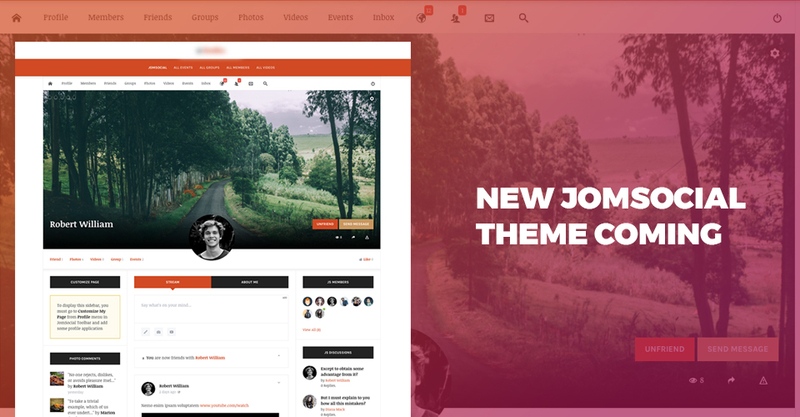 In this entry, we will focus on JomSocial’s goals and planned changes to make the transition to Joomla 4 as smooth as possible. 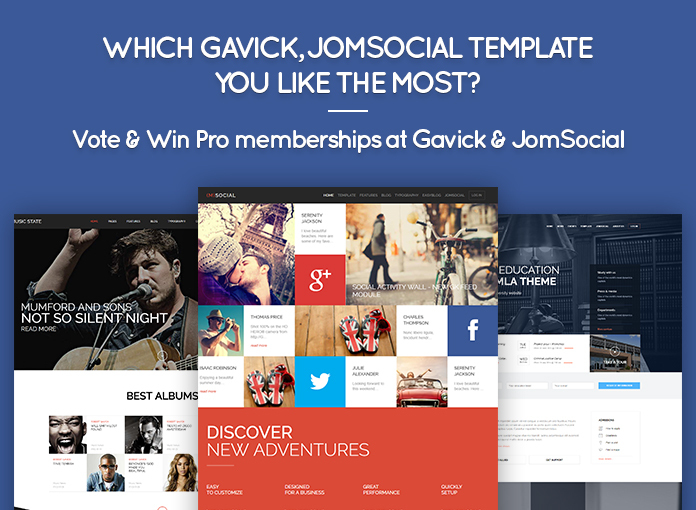 With the recent acquisition of Gavick by Joomlart, we can’t be more thrilled to announce all Gavick templates with JomSocial support will be updated to always support latest JomSocial. It is however, a process that require time because most overrides are currently only partially working due the fact there are new features in JomSocial for which overrides were not created. 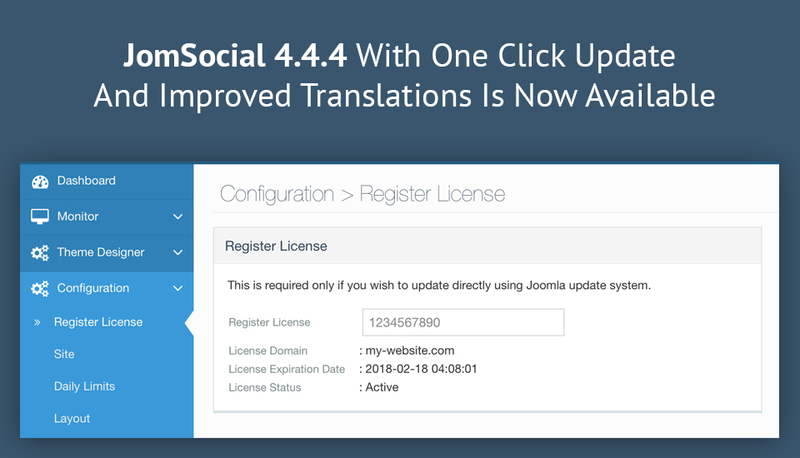 We are pleased to announce immediate availability of JomSocial 4.5 series introducing the brand new system for guest users to manually request invitation when website is set in “invite only” mode and database preparation for upcoming chatbar feature. For the full list of changes, refer to our changelog. English become modern lingua franca, but it’s always better to have extensions in your own language. Especially if it should be for your users. And what is more user oriented than Community? That’s why we decided to start JomSocial Omniglot Project, to encourage and reward Translators who want to localize JomSocial. Do you know English and any other language? Are you a native speaker? You have translation experience or language skill? Are you willing to help? 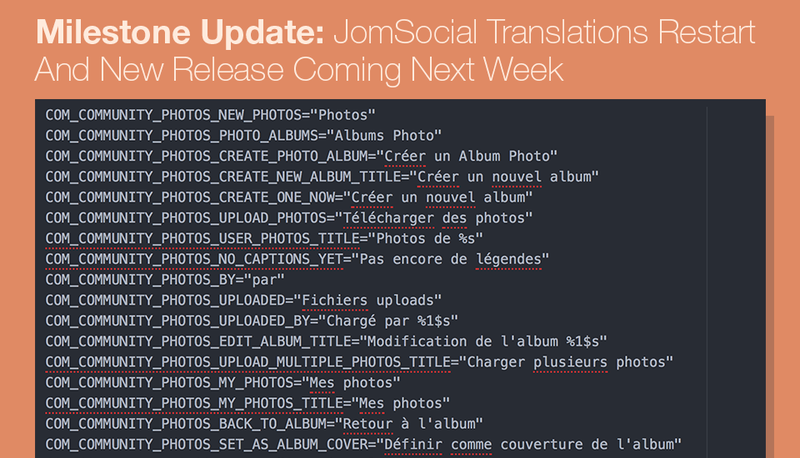 JomSocial 4.4.4 brings over 300 new language strings. We investigated many hard-coded language, changing them to proper language constants. Some texts ware updated so they may become more understandable describing features. That means more and more text could be localized. If you have a multilingual or non-English website, please, update your languages as soon as you can. 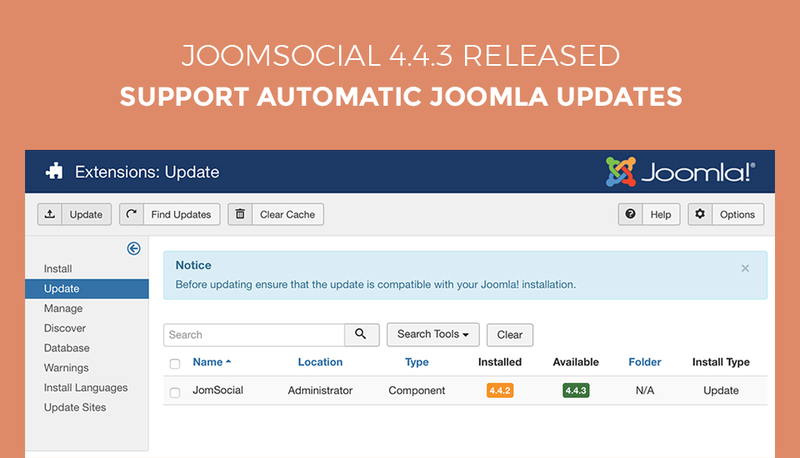 JomSocial 4.4.3 is a minor maintenance release which introduces the possibility to upgrade your JomSocial installation on a single click of the button. We also managed to squeeze few more bug fixes. Read the full changelog here. 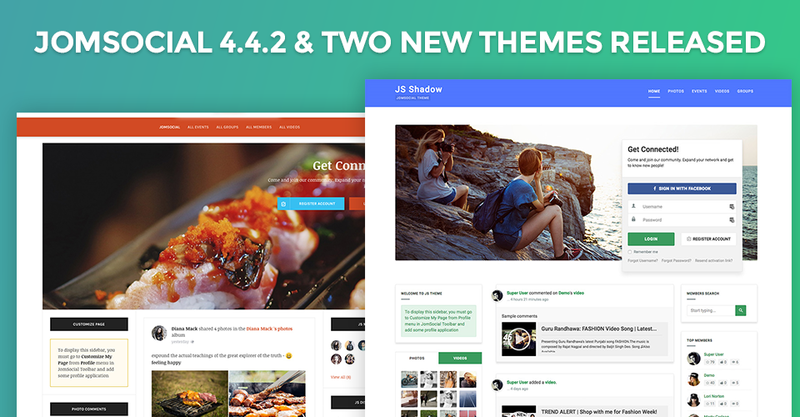 We were excited to see such a positive feedback reaction to JomSocial 4.4 so we decided to follow it up with great bug fix release and two new themes. 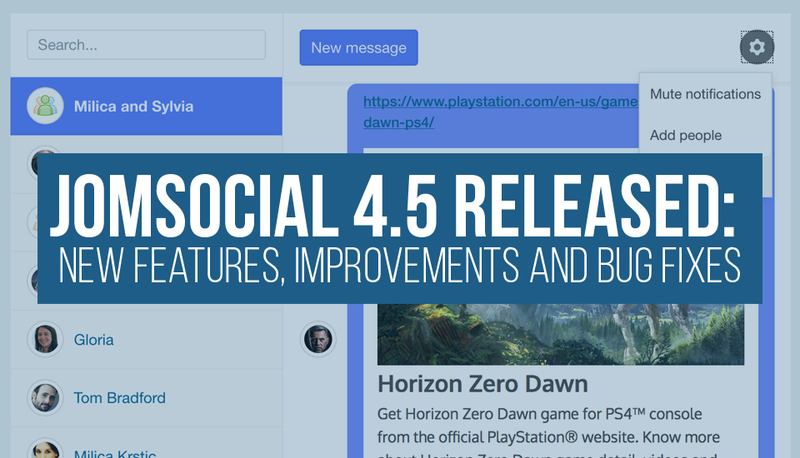 For a complete list of changes introduced in JomSocial 4.4.2, please check the changelog. 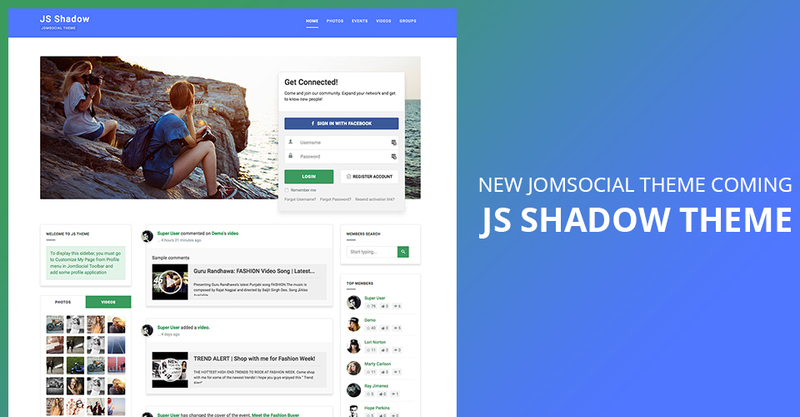 With release of JomSocial 4.4 we also added two new themes JS Flat and JS Column for Professional and Supercharged Plan members. Today we continue our determination to give you more options and possibilities to make truly unique design which will stand out immediately but at the same time blend seamlessly into any Joomla! template.